Bespoke experiences, exceptional service and a spectacular location—at Belmond Hotel Cipriani, every event is crafted with grandeur in mind. Don your mask for an alfresco ball on the Fondamenta, overlooking St Mark's Square. Or host a grand feast in the Longhi Ballroom. Our three interconnected buildings, the Granaries of the Republic, all restored to their 19th-century glory, feature the latest technology to celebrate with every modern luxury. Gather your nearest and dearest and savour a spectacular 360 view of Venice. See lI Redentore, the hub of San Marco and the San Giorgio Maggiore bell tower, all from one of our altanas. Customise your party with cocktails, afternoon tea or a romantic dinner. Any intimate gathering between 2 and 10 guests can be celebrated in style. 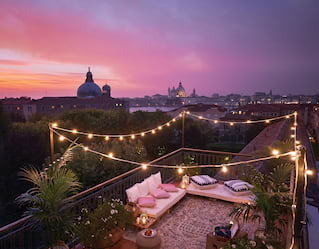 What could be more uniquely Venetian than a rooftop party with a view? There's nothing quite like a wedding in Venice. Opulent architecture, gondoliers serenading couples as they drift down narrow canals, masterful sculptures that take your breath away. 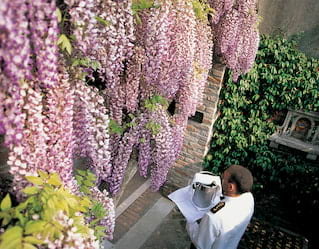 Brimming with romance, welcome your guests in the same spot that Casanova once did. From a church ceremony to a gondola blessing, our experts coordinate every detail for the kind of day that dreams are made of. Start your new life together in the most sublime environment. Take a twilight walk through Casanova’s gardens or have a personal butler serve you champagne and canapés on your private terrace. Indulge in a couple’s treatment at the Casanova Wellness Centre. Share a Michelin-starred feast at the iconic Oro Restaurant. 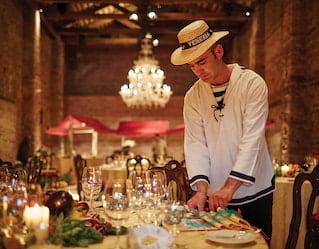 For the adventurous, our concierge is on hand to suggest the best secret tours and tastings that Venice has to offer. Whether you’re charmed by our lagoon-facing terraces or want to create an otherworldly party in the verdant gardens, we have a variety of venues to take your celebration to new heights. Let our team bring your ideas to life and finesse every detail. From the city’s best musicians to sublime gourmet delicacies and themed decorative touches, our talented team encourage you to let your imagination run wild. Venice offers no shortage of unique experiences to indulge colleagues or impress clients. With Belmond Hotel Cipriani as a luxurious base, head out on a breathtaking Bacari Tour to discover the city's finest hidden wine bars. Or step back in time to unlock the scented secrets of the renowned Palazzo Mocenigo perfume museum. If the lagoon calls, navigate Venice and its many ethereal islands on the Missoni family's private boat. Whatever your agenda, we'll dazzle the whole party. 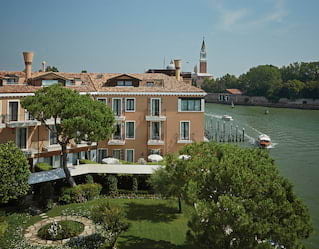 In Venice, events at Belmond Hotel Cipriani take on legendary status for those lucky enough to get invited. Even more exceptional is an exclusive hire of the hotel, where every inch of our venue and its expansive grounds are yours to enjoy. Imagine guaranteed privacy, absolute flexibility and the full attention of our world-class team.